The process of selling a used boat can be a frustrating one. Trying to sell a used boat online or in the newspaper can open you up to low ball offers, or unscrupulous buyers just trying to take advantage of you. Your boat may sit for weeks or months, even years, without a buyer – time that can be better spent with a new boat or toy, or, better yet, cash in your pocket. 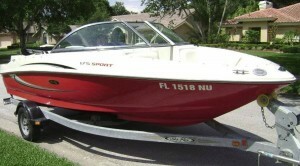 At Boats N Cars LLC, we are a leading Tampa Bay used boat buyer. We pay cash for boats of all types and makes, under 30′ – bow riders, fishing boats, deck boats, jet boats, ski boats – you name it and if it’s in good condition an well-kept, chances are, we’ll buy your boat. If you have a boat over 30′, give us a call anyway and we will refer you to one of our local partners. Our knowledge of the used watercraft market allows us to offer fast, no-obligation quotes on your boat. In many cases, we can complete the purchase process the very same day you contact us. We are Tampa Bay’s go-to boat buyers, with more than 30 years of experience buying and selling watercraft. 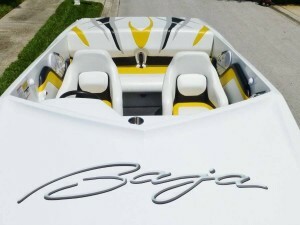 Customers from all over Florida bring us their boats when they are ready to sell or trade in. We are proud to have earned an outstanding reputation within the area. Please see our testimonials page for more information. 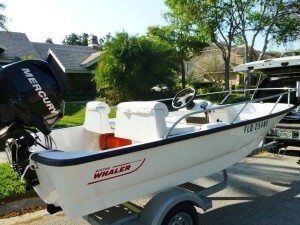 Contact us for a quote: To begin the process of selling your boat, simply give us a call at 727-409-2628, or email us. We’ll arrange a time to look at your boat, and fill you in on the documents you’ll need to sell it. Inspection and appraisal: Our highly knowledgeable staff will conduct a thorough inspection of your boat. Once inspection is complete, we’ll offer you a no-obligation quote for your boat. Cash for your boat: If you choose to accept our offer, we’ll process all necessary paperwork and put the cash in your hand the very same day. No waiting for payment or dealing with low-ball offers. Just cash for your boat quickly and easily. Don’t make the mistake of listing your boat online or in a local newspaper. Instead, if you are in the Tampa Bay area, get cash for your boat, jetski or waverunner quickly and painlessly. Call us at 727-409-2628 or email us to begin the process of selling your used boat today.